Rear view of PK+QP after landing. Note that the flaps are not extended the full 45 degrees. The faired tail wheel is clearly shown. 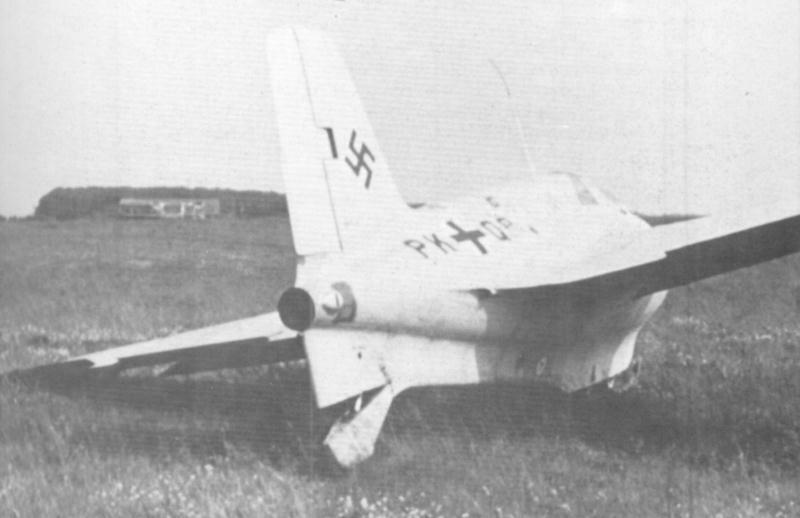 This picture shows that the aircraft was still fitted with the initial, small trim surfaces. The right wing shows that the trim surface root is outboard of the flap root. The left wing shows it too.